This is part of a Direct Mail program for W.Y. Campbell & Company sent out to a specific industry to highlight their experience and work in the Waste Management sector. 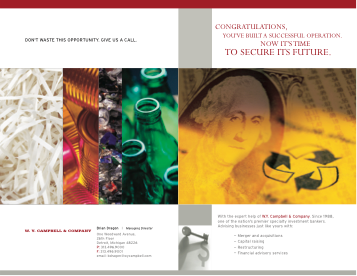 The direct mail was designed to inform the potential clients of W. Y. Campbell & Company’s services and talents.